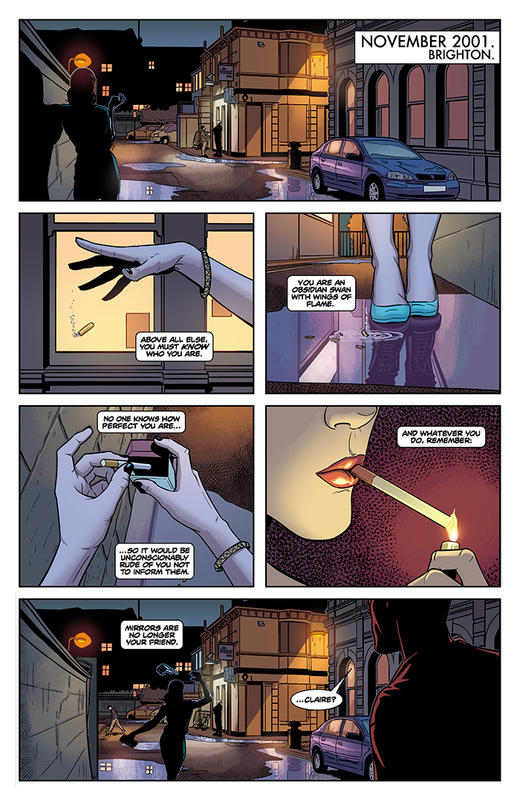 The team behind the New York Times bestselling and Eisner-nominated smash hit THE WICKED + THE DIVINE return to the acclaimed urban fantasy where they first made their names. Nearly a decade ago, Emily Aster sold half her personality for the power to rule a coven of phonomancers. I’m sure nothing could go horribly, monstrously wrong now. In a world where Music is Magic, a song can save or ruin your life. 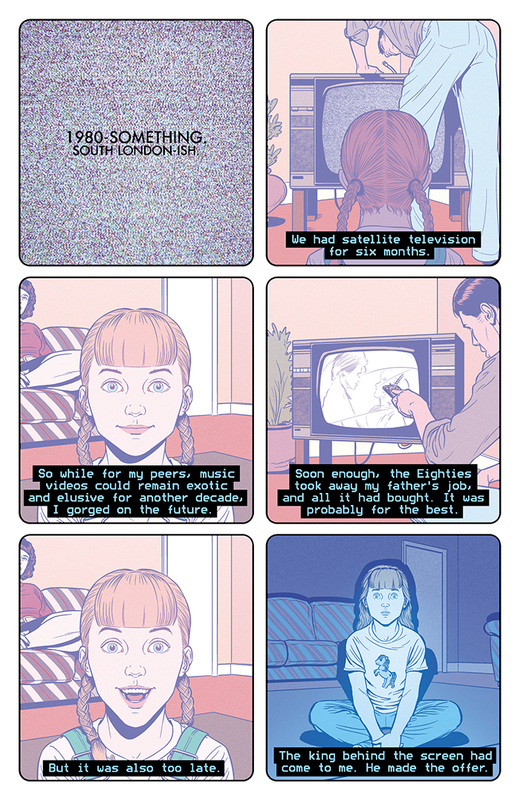 In THE IMMATERIAL GIRL, we discover what a video can do. Which is all very exciting, at least for us, and hopefully for someone else. If you want to make sure a copy is there waiting for you on August 12th, you should talk to your retailer and say you want to pre-order. Not sure how to do that? Well, Kieron did a guide of how to pre-order last year which explains everything, as well as showing some very foolish photos. Oh, I know. A preview. 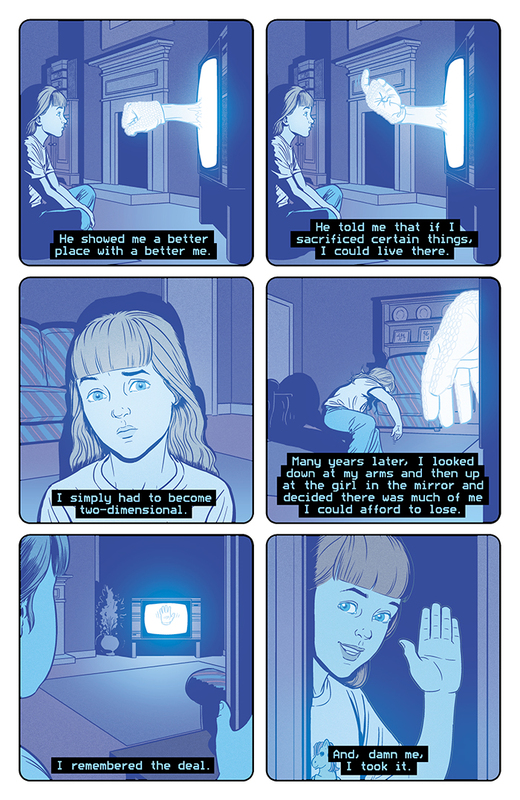 Here’s the first three pages. See you on August 12th. This site is very much low-turn over, so if you want gossip, probably best to follow our tumblrs (Kieron/Jamie) or even Kieron’s low-turn-over-but-more-than-this Workblog. Also, twitter links on the side-bar if you want to see us talk utter nonsense. Glad to be back. 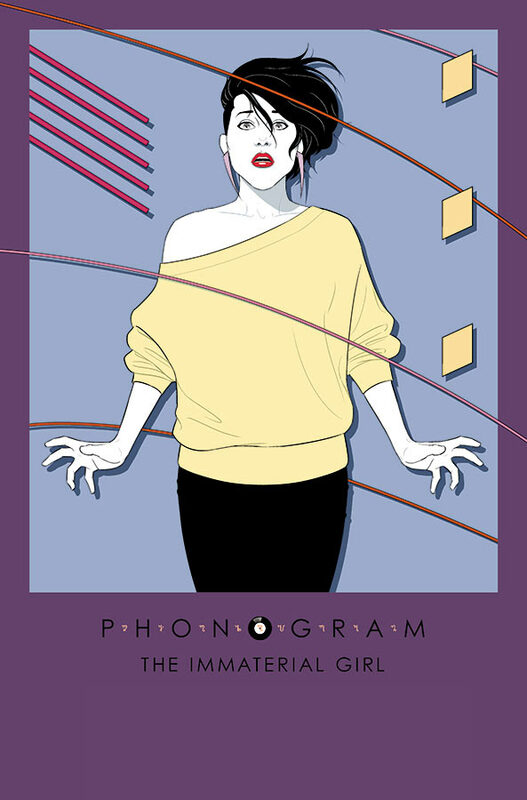 It’s somewhat bewildering that there’s finally more Phonogram in the world.